Located in a valley in southern Oregon, east of Coos Bay, Roseburg is in Zone 9 of the U.S. Department of Agriculture Plant Hardiness Zone Map. This region is known as the Williamette Valley, and is protected by the Coast Range to the West and the Cascades to the East. Roseburg and the Willamette Valley are recognized as one of the West's best growing areas, and many fruit trees and plants thrive in this region, which has a long, mild growing season and wet weather in the spring. A key crop throughout the Willamette Valley, peach trees thrive in the area's mild winters and wet springs. The "Elberta" and "Redhaven" are the most well-known varieties that grow in the area and these trees produce a profusion of flowers in late February through April before yielding fruit in summer. These trees are self-pollinating. Both trees produce large, yellow fruit and the Redhaven ripens in early in the season, while the Elberta requires the summer heat to produce ample sugars. Peach trees should be planted in full sun and require regular water. Nearly every variety of plum can grow in Roseburg's mild climate. Members of the Rosaceae family and related to cherries, peaches and apricots, plum trees are heavy bearers. 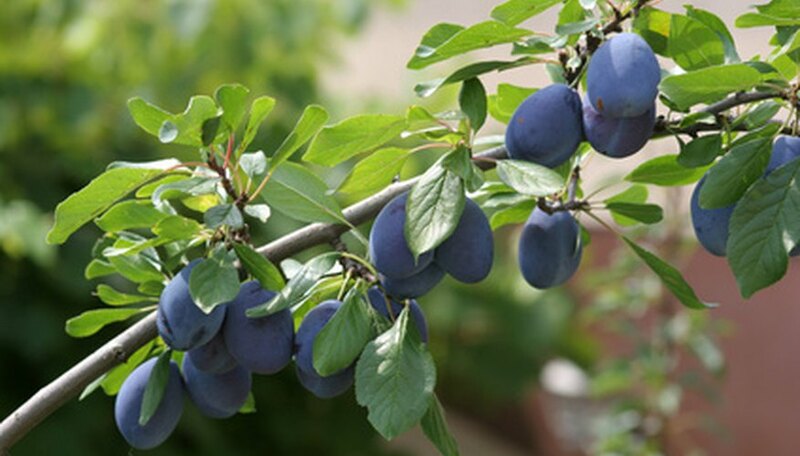 The most common plums in the Willamette Valley are from the European plum (Prunus domestica) family and require less summer heat to produce sugars. These trees also set blooms late, usually after the risk of frost. Plum trees are self-pollinating and require full sun. After the rainy season, trees should get periodic deep soakings to keep roots moist. Commonly thought of as peaches without fuzzy skin, nectarines are also important crops in the Roseburg area. Nectarine trees are a little more difficult to grow, however, as they are susceptible to thrip, and blooms must be protected from these insects. The "Fantasia" and "Redgold" varieties are good producers in the Williamette Valley. Fantasia, which is red-skinned, has firm flesh and good flavor. This variety ripens in the middle of August. Redgold has mostly red skin tinged with yellow and has firm, sweet flesh. Like peaches, nectarine trees are self-pollinating, should be planted in full sun and require regular water.